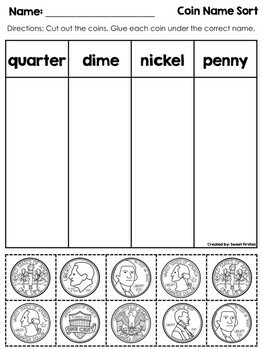 The student will cut out the coins (penny, nickel, dime, and quarter) and paste them under the correct value. The front and back sides of coins are used. 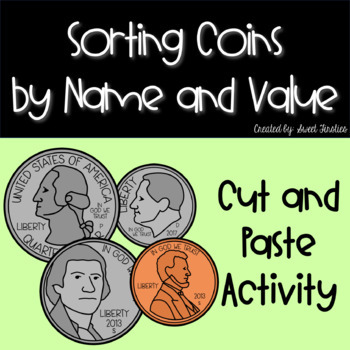 The student will cut out the coins (penny, nickel, dime, and quarter) and paste them under the correct name. The front and back sides of coins are used. 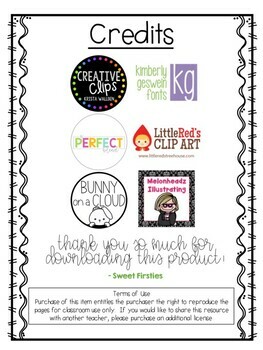 These cut and paste activities could be used for independent practice or as an assessment.